Well, as I predicted a couple of weeks ago, here we are: Pete Carroll vs. Bill Belichick. The Seabitches vs. the Massholes. 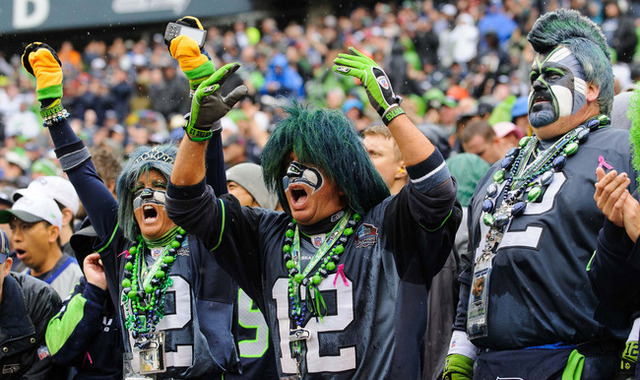 The PEDhawks vs. the Deflatriots. I’m not sure it would be possible for there to be a less likable couple of teams matching up in the Super Bowl. And maybe that’s a fair and proper ending for this season, which between the Ray Rice scandal, all the other domestic violence incidents, the ongoing concussion issues, the Adrian Peterson thing, and the complete self-immolation of my beloved 49ers, was the least enjoyable NFL season of my adult life. For the second consecutive year, I’m considering taking a pass on watching the Super Bowl. Really, at this point, there’s no point in piling on. If you’ve read this blog at all, or ever had a conversation with me in a bar, you know how I feel about Boston sports teams in general (as my buddy Dan says, “The generic Northeast Boston fan is who greets us when we get to hell”) and this Seattle football team in particular. 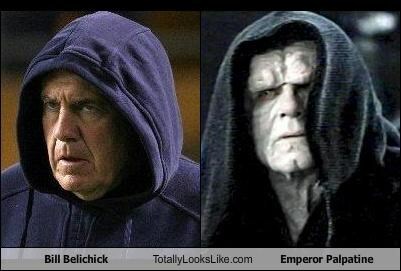 In this case, my loathing for Richard Sherman, Pete Carroll, and Russell Wilson so overwhelming that I find myself leaning toward New England and Lord Palpatine … er, Bill Belichick this weekend. But no matter where my flaccid allegiance may lie on Sunday, my head tells me that this is a bad matchup for the Patriots. When you look back over New England’s results from this season, which is the game that stands out? It’s that 41-14 Week Four Monday night loss to Kansas City, right? I watched that game, and the Pats got blown out because Kansas City had a fearsome pass rush that put a ton of pressure on Tom Brady and a ball-hawking secondary that capitalized by creating turnovers. And once they had the ball, the Chiefs controlled it: KC ran for more than 200 yards in that game, and Alex Smith completed 20 of 26 passes for 248 yards, despite having arguably the NFL’s worst group of wide receivers. Well, I’ve got bad news for you, Pats fans: Seattle has a scary pass rush; they have the most opportunistic secondary in the NFL; and they can grind it out on offense with Marshawn Lynch. And when they throw the ball, they don’t really have a number one receiver that they depend on, which somewhat neutralizes the advantage the Pats typically have with Darrelle Revis. From a dispassionate, relatively objective perspective, this just looks to me like a good draw for Seattle. I don’t think the game will be a blow out, but I do think Seattle is going to win, 27-17. And then we’ll have to watch these assholes celebrate. Now let us never speak of this season again. This entry was posted in football, Sports and tagged football, New England Patriots, NFL Playoffs, Seattle Seahawks. Bookmark the permalink.